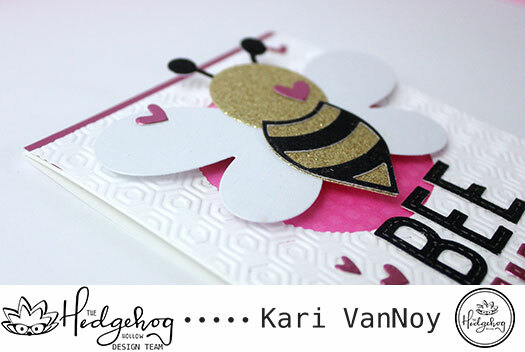 It is so fun to pair this bee with items from your stash to build a cute sentiment card. I added three layers (yes, three!) 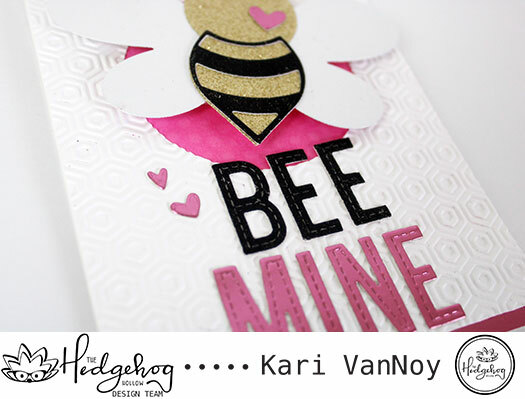 of 3M foam tape to pop that cute little guy up on the front of this card. It really gives this card some fun dimension. Check my video for a complete tutorial. You can see the fun shine you can get from the Tonic Mirror Cardstock in a Satin Finish. I just love it!